Texas has a storied history, filled with triumphs and tragedies. Towns all over Texas have grown up and blossomed into lively communities. But for every busy city and large metropolitan area, there are dozens of tiny towns that just didn't make it. 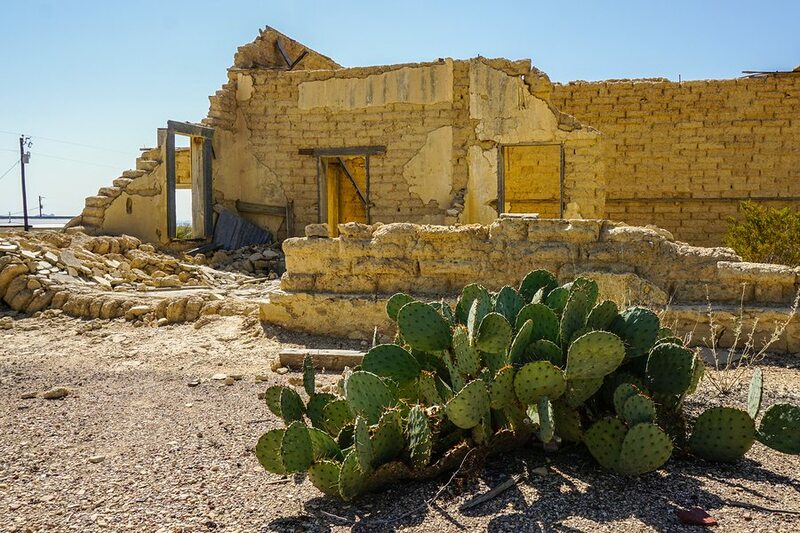 It is estimated that there are over 900 ghost towns peppered across the Lone Star State in varying stages of decay. Some were abandoned due to economic crisis, some due to the emergence of the interstates, and some just died along with their residents. To be clear, not all of these towns are completely abandoned. Some may have a few hardy citizens who are determined never to leave, while others are as quiet as the grave. Here are some noteworthy Texas ghost towns worth exploring. An oil boomtown gone bust, Eliasville was settled in the 1870's, but really took off in the 1920's with the oil boom of 1921. Everything comes to an end, however, and Eliasville's population had dwindled down to about 100 by 1980. Originally named Coyote, Gilliland was renamed after a district judge in 1907. Today Gilliland is little more than some disused buildings, rusting in the Texas heat. Bluffton was submerged by the waters of Lake Buchanan after the construction of Buchanan Dam in 1937. The town reemerged when water levels dropped during the drought in 2009. Pecans, corn and cotton were the town's cash crops before it was acquired by the Lower Colorado River Authority for the building of the reservoir that would eventually drown it. The town hadn't been seen for over 75 years when it began to reappear. Lobo was mostly abandoned in the 1960's, and by 1991 it was a deserted ghost town. However, three people from Frankfurt, Germany bought the entire town in 2001 are currently trying to revive it. Established in the 1880's, Toyah is the oldest town in Reeves County. The town operated as a trading post for West Texas travelers and was located on a stagecoach line and had a station on the Union Pacific rail line. As the years passed, it faded into obscurity and was bypassed by the interstates for other cities. Eventually, its schools were consolidated with nearby Pecos, and according to the 2000 census, the town had a population of 100. A visitor to the town in 2008 reported to Texas Escapes that several fire trucks sit abandoned in the streets, and the town continues to decline. Belcherville was established in 1886, but a devastating fire overtook much of the town in 1893, and many of the buildings were never rebuilt. As a testament to the resilience of Texans, however, the town remained populated until the early 1950's, by which time there were fewer than 50 residents. The 2000 census recorded 34 residents. Belcherville now sits on private farmland, and the abandoned buildings have been fenced off. Named for the signing of the Declaration of Independence, Independence, Texas was once home to Baylor University and Republic of Texas President Sam Houston. Now Independence is a collection of well-preserved ruins and relics of Texas history. Though Terlingua is technically a fading ghost town with very few residents, that hasn't stopped it from becoming a tourist destination. In fact, you can even stay in the old Perry Mansion, because parts of it have been renovated as a hotel. Every November Terlingua explodes into activity for the annual chili cook-off, but for the rest of the year, it's still pretty ghostly. Unfortunately, somebody recently destroyed one of the town's historic ruins. The town is offering a reward for info about the persons who committed the crime. Terlingua remains a unique destination that you should add to your next road trip to West Texas.